Two fundamental technologies to enter into mainstream information technology are Big Data and cloud computing. Although these two are not the same; as Big Data represents content whereas cloud computing is infrastructure, the combination of both the technologies can yield excellent results. Thanks to cloud computing, Big Data can be processed on your computer systems and laptops quite comfortably. 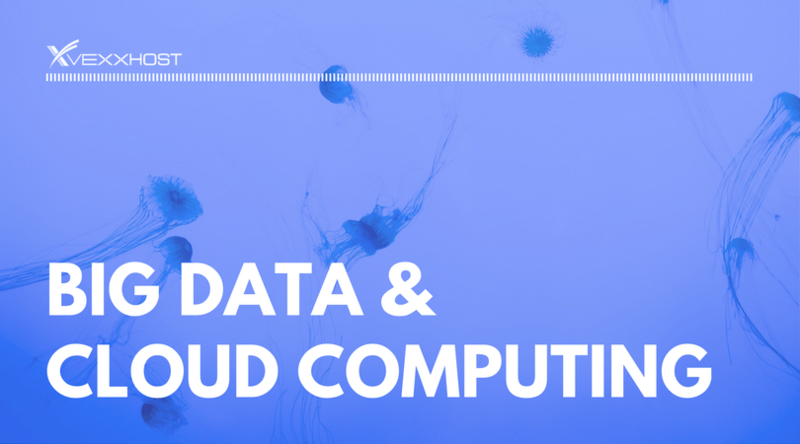 Let’s take a look at how exactly Big Data and cloud computing are compatible with each other and how beneficial are they for enterprises around the world. In order to understand why both the technologies are often bundled together, you need to have a basic understanding of what Big Data and cloud computing is. The most straightforward definition of Big Data is that it’s a large volume of data- think terabyte or petabyte or even more than that. Data can be either structured or unstructured. This data can be so extensive that it cannot be processed through traditional database and software techniques. As for cloud computing, in the shortest term, it means storing and accessing data, files, and programs over the Internet instead of the local computer’s hard drive. The cloud is a metaphor for the Internet. Through hardware virtualization, cloud computing provides the option of storing significant amounts of data with the help of scalability, fault tolerance and availability. This allows Big Data to be available, scalable and fault tolerant through cloud computing. The traditional method of storing and managing data is becoming outdated quickly. Setting up an infrastructure is not only expensive but also time-consuming, as installing and running a server can take weeks. With cloud computing, it’s possible to provide any infrastructure with all the required resources almost instantly. A good cloud provider will companies to ensure that their work is always on the go without any hitches. A cloud platform can dynamically expand to provide storage for ever increasing data. Once the company gets the necessary insight from the data, storage space can be increased or reduced to accommodate the data as per the requirement. A large volume of data leads to the issue of how to process it efficiently. Social media alone generate a massive amount of unstructured data in various forms. With Big Data platforms, cloud computing makes the whole process easier and accessible to small, medium and large enterprises. Cloud computing is a terrific solution for enterprises that wish to have state of the art technology running their operations under a limited budget. Maintaining a big data center to perform Big Data analytics can quickly drain an IT budget. Nowadays, companies have the option to avoid investing heavily in setting up the IT department and maintaining hardware infrastructure. With the cloud computing, the responsibility shifts to the cloud providers and the company only have to pay for the storage space and power consumption. Any implementation of big data solution requires several components and integrations. Cloud computing provides the option to automate these components, thus reducing complexity and enhancing the productivity of the Big Data analysis team. Cloud computing provides enterprises a cost-effective & flexible way to access a vast volume of information we call the Big Data. Because of Big Data and cloud computing, it is now much easier to start an IT company than ever before. However, it is important to note that cloud-based big data analytics success depends on many factors. An important factor is a reliable cloud provider with extensive expertise, offering highly robust services. VEXXHOST cloud services allowing enterprises an excellent opportunity to take advantage of both Big Data analytics and cloud computing simultaneously.